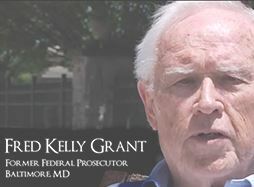 Below the videos you can also find exclusive, inside analysis and commentary by Attorney Fred Kelly Grant. I have written only one other time about what I thought of the shooting of LaVoy Finicum as an unnecessary, and deliberate acceleration of the “take over” of the Malheur Wildlife buildings in Oregon. And, I haven’t followed the case since visiting with Mrs. Finicum and her deciding to seek counsel elsewhere. I presented her with a plan of action designed to do two things (1) secure her financial assistance for the rest of her life under the Civil Rights Act, and (2) to protect her ranch from what someone will someday do to try to take it. When she chose to go elsewhere, I did not think it appropriate for me to write more about the case, and I have done nothing but follow the news stories of the enormous failures of due process of law regarding the defendants who were arrested. During my prosecutorial and defense career I have seen first degree murderers who frightened jailers treated less severely than what the press reports about the treatment of these men. I have just watched [the YouTube videos shown above]. I have not and will not name the person who sent me the link because I would not want him linked to my absolute statements in this piece. But, there is full transparency as to who is showing the video and why. On the basis of the video, as a prosecutor, I would file first degree, premeditated murder charges against officers who shot the deadly shots and at least accomplice before the fact against the officer who fired the foam bullet that caused Finicum to put his hands to the left of his chest. I would argue to any Grand Jury and to any Petit Jury that his firing of that foam bullet, and then running out of sight instead of trying to subdue a man he knew he had only wounded, was proof that he was the “set up” man. Those of you who have seen the prior films and photos will no doubt remember that LaVoy Finicum got out of the vehicle with his hands in the air, arms fully outstretched, in an obvious surrender move. Jurors do that, they think when you give them moments of silence. More impact comes from their silent thought about your question, than if you immediately answered it for them. LaVon getting out of the vehicle with his hands in the air even as he exited the door; he didn’t just put them up once he was outside, he had them up when he came out of the vehicle. His hands and arms were in the air, arms completely upstretched like this—-in as well known a surrender symbol as any symbol known to any one of you or any one of your family who has ever watched a western movie, comedy or detective show. As he walks with his hands empty and his arms upstretched to their highest, had anyone shot to kill him, it would have been too clearly a murder, so he had to be set up. Now we reach the unidentified officer who fires at LaVoy and we know from the evidence that he fired a foam bullet at his left chest; we see it strike LaVoy. You have heard our testimony as to the impact of such a foam bullet from the distance it was fired. The impact hurt him. Think about it for just a moment—take a moment of silence while I shut up for a moment, and think about being hit in the chest with such velocity—what is the first thing you would do? Just think. ………And I know because I know you are reasoning people that during that silence you would have grabbed at that spot where you were hit. When we see a football player go down in a pile we see him grab his knee or his shoulder or his ankle; when we see a basketball player twist his knee, what does he do? He grabs that knee. When we see a batter hit by a fast ball what does he do? Before he threatens the pitcher he reaches and grabs at the point at which the ball hit. I used to tell my young ball players “rub it off” when a baseball took a bad bounce. It is not some mystical theory as the defense would have you accept without using the common sense that you brought into this court room. It is a reaction we see in life, in person, or on television every day of our lives. LaVoy did exactly what you thought about when I graced you with a few seconds of silence awhile ago. He reached for the spot of the pain. And, that ladies and gentlemen, gave the killers the excuse they give you here—the excuse that they thought he was going for a gun. I look at these experienced defendants at the table and wonder whether they really think that you twelve souls believe that they really feared he was going for a gun inside his heavy coat when he could have come out of that car shooting had that been his intent. I ask you ladies and gentlemen to look at these defendants—you’ve heard about their training, their expertise, their policy of de-escalation—look them in the eyes and tell me whether you think they were that dumb. No. No. No. They were not. 10. Where in the world, much less where in this courtroom to support his fellow officers, is the man who fired the foam bullet? You saw him fire, then turn and disappear behind the roadblock car—never to be heard from or identified again. He wasn’t just some bystander was he? He was one of these defendants’ comrades in arms. Where is he? Why is he not here so I could have asked him why he dashed away at a time when he could probably have subdued LaVoy who was reeling from the pain. As you know, I asked the court to let you review that video in the jury room and within his lawful discretion he denied my request. He granted the defense objection. But the fact that you don’t have it with you doesn’t remove it from your minds and memories. You’ve heard days of evidence as to the “take over”, the reasons for it, the reasons why the Government could not allow it to continue, the idea that LaVoy Finicum and his friends or “co-defendants” as the defense would call them, set out to speak to a sheriff. You’ve heard those days of testimony because in the American system of justice designed by our Founders we give these defendants more chance than they gave LaVoy on that Oregon highway. Were it not for this video you saw, it might be a bit difficult for me to argue that this is a case of premeditated first degree murder. I still would have felt justified in arguing that the law was broken by these defendants in whom we place our trust for law enforcement—but maybe not premeditated, deliberate, first degree murder. 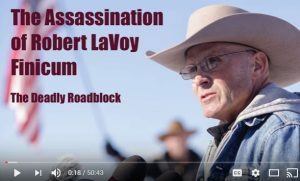 With the video, I have no qualms, no hesitance, in asking you to find that beyond every possible reasonable doubt, these men are guilty of taking the life of LaVoy Finicum intentionally and with premeditation. Note: Attorney Fred Grant is a former federal prosecutor in Baltimore, MD. He currently resides near Boise, ID. To learn more about Fred Grant, click his PROFILE.